Tube clocks for a new era. 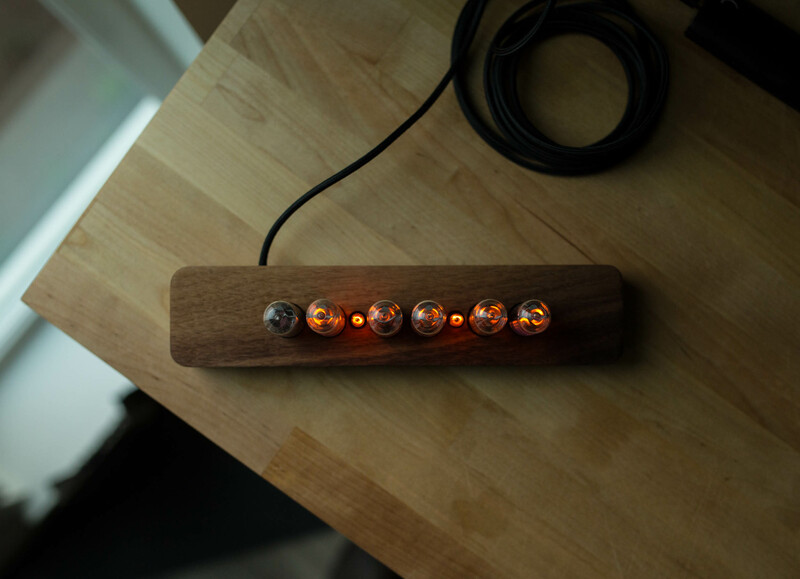 Luminous Rex clocks are a new take on an old display technology. 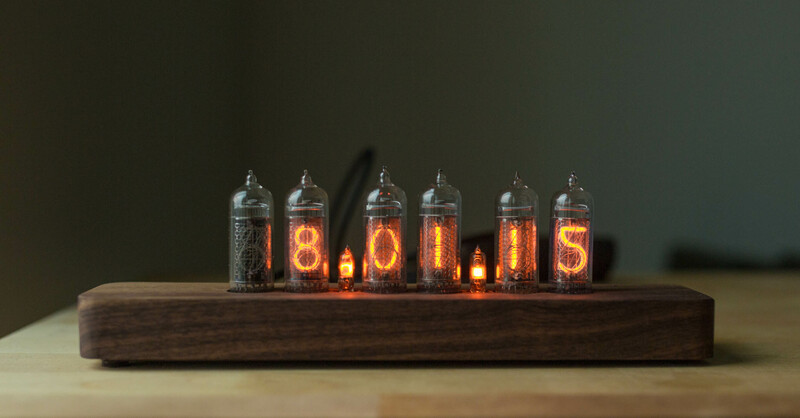 Using Nixie and Numitron tube display units, Luminous Rex tube clocks provide a beautiful glowing display of hours, minutes, and seconds. These tubes were used in laboratories, aircraft, and other mission critical environments in the 1960s, 70s, and 80s, providing clearly displayed digits from a wide viewing angle. The tubes use our custom designed modular connectors - in case a tube breaks it can be easily replaced. 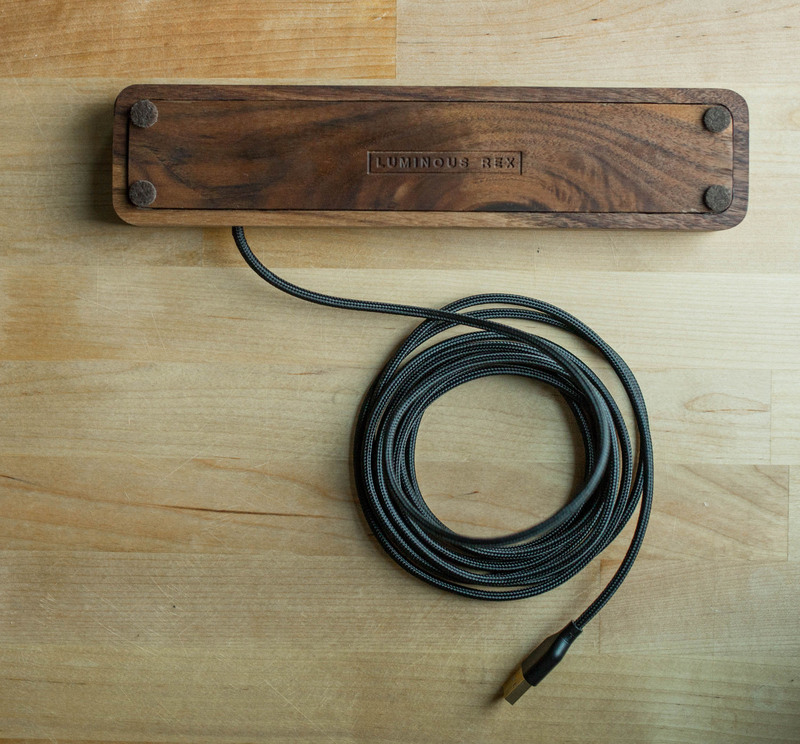 The clock is powered over USB, with a high quality braided cord. You can power the clock using any standard USB-A port on your computer, a standard USB charger, or USB battery pack. USB cable is available in black or red color. The clock has internal battery backup, retaining the correct time when not plugged in. You can set the clock's time when plugged into your PC or Mac using the provided Luminous Rex clock app. Comes with two spare tubes, and a one year warranty. In the unlikely case that repair is needed, we will replace tubes at cost, determined by the stock available on the market at the time of service. Luckily, if you take good care of your Luminous Rex tube clock, there will be no need for tube replacement. All of our products are hand made in the USA - we provide high levels of workmanship and take pride in the quality of our products. 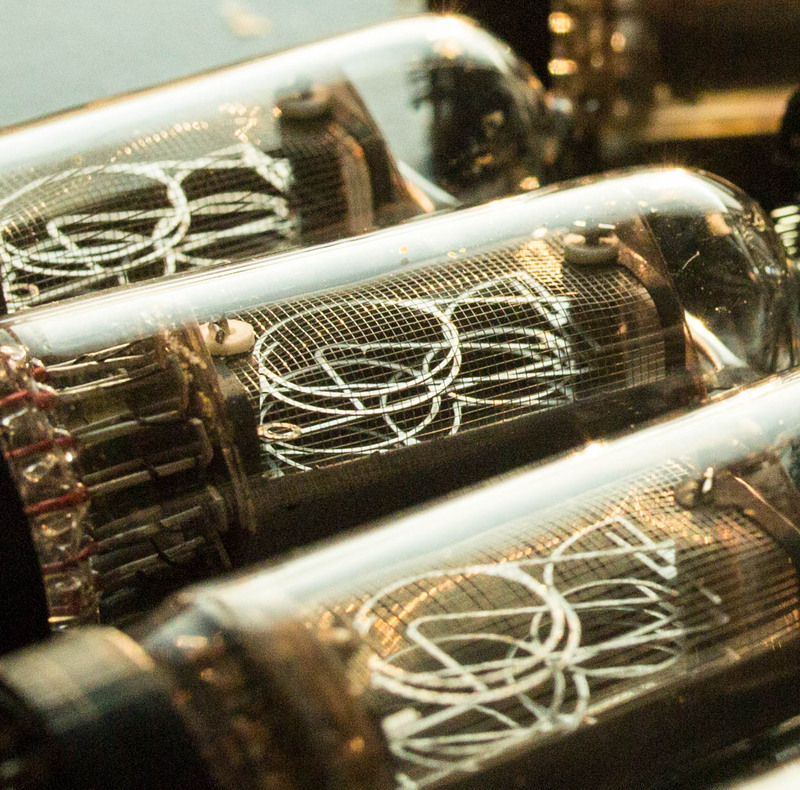 Genuine Nixie | Numitron tubes from old stock. Order a Luminous Rex Numitron Clock. Luminous Rex products are also available on the Luminous Rex Etsy Store. After installing the software, connect your clock to your computer's USB port. Then run the Luminous Rex clock app to update the clock to your current local time.